Don't get me wrong! Singapore's casinos with the Marina Bay Sands at the helm still remains the Asian hot-spot for Dealer-Insider Cheat-Scams, but the relatively small casino industry in Cambodia is quickly catching up. Over the past few years I have posted several times about Cambodian casino dealers, both Cambodian nationals and Chinese, teaming up with agents to rip off their casinos. The most recent Cambodian dealer-cheat scam occurred at the Vimean Khsarch Sar casino in Preah Sihanouk Province and resulted in a $20,000 loss to the casino, which seems to me quite a substantial sum coming out of a Cambodian casino. 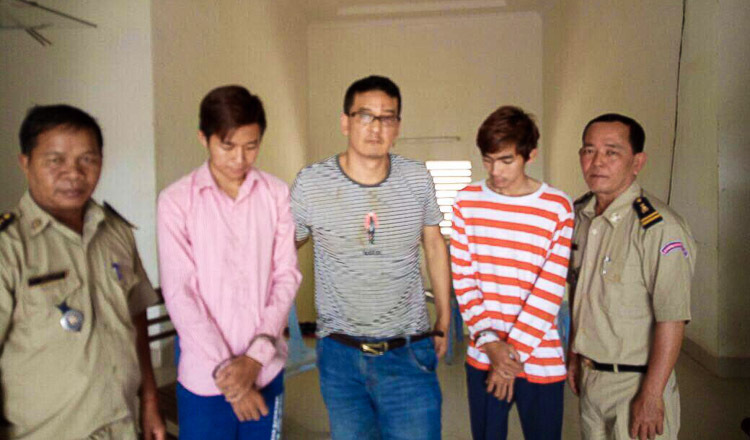 Yao Fengyu, the 42-year-old Chinese manager of the casino's online games, along with 23-year-old Phan Bros and 19-year-old Neak Vichheka, both Cambodian card dealers, were all charged with fraud for cheating the casino. Apparently Fengyu operated a cheat scam with the casino's online games while the two Cambodian card dealers worked a scam on the brick and mortar gaming tables. No other details of the scams were released. My take: Well, Vimean Khsarch Sar is about the weirdest and most difficult casino name I've had to pronounce in 14 years of blog-writing...and the accused's names don't make things much easier.